The Edward may be the last Vegan éS skateboard shoe as this is possibly the last season of shoes that éS will emblazon their name. Seriously a bummer. Every shoe they made was a great skateboard shoe and you could always count on them having some vegan options. Well this is the end my friend (oh and no options, this is the only Vegan model) Get em while they last. And skate them into the ground. Shoe collectors need not apply. Upper is all Canvas, and despite the product description of Black/Dark Grey they look a bit Blue to me. The inside of the shoes are made of some deconstructed nylon hodgepodge of color. The sole are vulcanized. 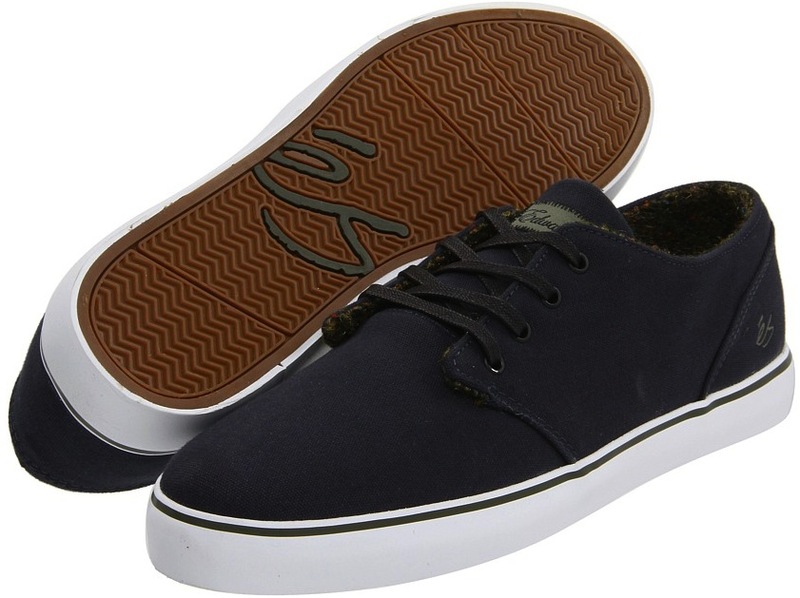 Support a skateboard website, or go Zappos for more size options.